Canvas Mol Canvas Mol is a website that provides 3D, interactive, rotating models of simple and complex molecules. Chemistry – Wisc-Online Learning Objects for Chemistry. Animations of topics in biology, chemistry, earth sciences, and statistics. This website for chemistry students has information about alkanes, elements, atomic structure, bonding, catalysts, metals, halogens, helium atoms, ions, pH, acids, chromatography, balanced equations, rate of reaction, bee stings and the Periodic Table. Find hundreds of resources to help you learn and teach the fundamentals of chemistry. This website is for teachers of chemistry in schools and colleges. 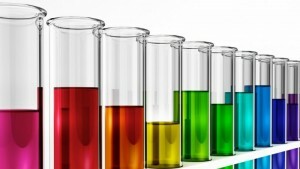 It is a collection of experiments that demonstrate a wide range of chemical concepts and processes. From Birmingham Grid for Learning. The revision website for A Level Chemistry. Basic chemistry help is available here for high school students. Chemtutor begins with the fundamentals and gives expert help with the most difficult phases of understanding your first course in chemistry. A collection of virtual labs, scenario-based learning activities, and concepts tests which can be incorporated into a variety of teaching approaches as pre-labs, alternatives to textbook homework, and in-class activities. From Carnegie Mellon University. By Anthony Carpi, Ph.D. From VisionLearning. Prepared by Ed Love and Jill Reade, Launceston College, Tasmania Australia. By Fred Senese, Dept. of Chemistry Frostburg State University.